Dr. Kim emphasizes preventive care, because most serious dental problems can be avoided with routine cleanings and exams. You will receive a thorough exam and benefit from a choice of dental options. Dentistry has come a long way in recent years. From low-radiation digital X-rays to one-visit crowns, Dr. Kim makes it a priority to incorporate the latest technology into his North Austin dental practice. Dr. Kim has been practicing dentistry in Austin since 1994. He offers a full range of dental services including preventive, implant, cosmetic and children’s dentistry, periodontal services, and emergency care. Welcome to the Dental Practice of Dr. James Kim! 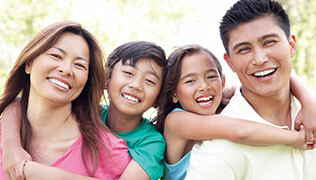 North Austin dentist Dr. James Kim has practiced family dentistry for over 20 years. Even after all this time, he still loves what he does and has a passion for learning about new techniques and technologies that will enable him to provide the most advanced dental care possible. With all of the chain dental clinics popping up in the Austin area, Dr. Kim’s unique blend of professional experience and leading-edge dentistry is hard to come by. 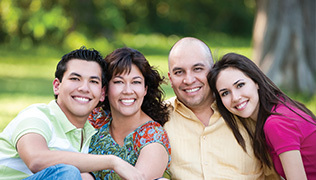 Our philosophy is that the key to a lifetime of great oral health is a strong and honest doctor-patient relationship. When you trust our team with your smile, you will never be treated like “just another patient.” Dr. Kim will get to know you on a personal level, thoroughly discussing your unique needs and goals before recommending a treatment plan that’s been designed just for you. Whether you’re visiting us for a routine cleaning or a complete smile makeover, our team has you covered.